Overview: Are you ready to become a stormchaser? Come out and play Triple Twister and hold on to something! Cause this reel-breaking twister will have you spinning with fun. Not only does every cloud have a silver lining, but every whirlwind will brighten up your day. 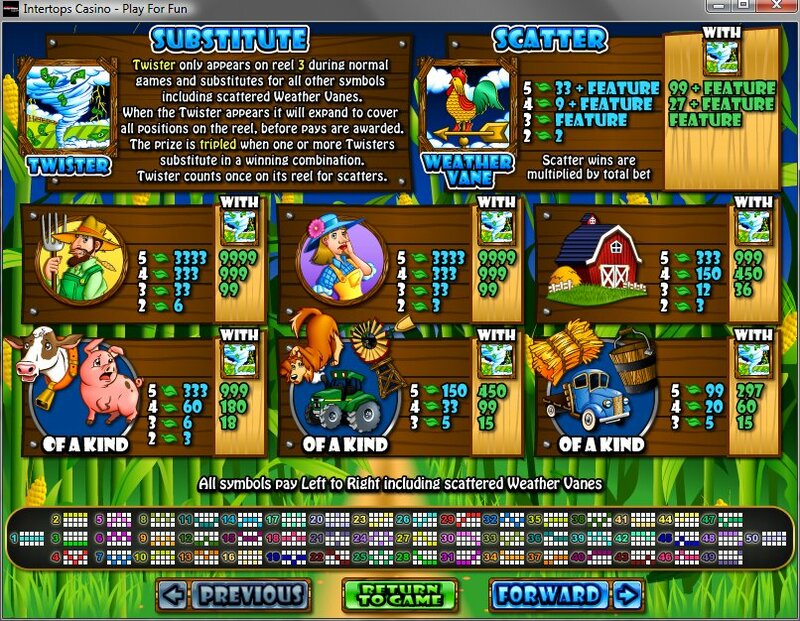 When 3 or more scattered Weather Vanes appear Left to Right, you will be awarded 9 free games - a feature that can be re-triggered! 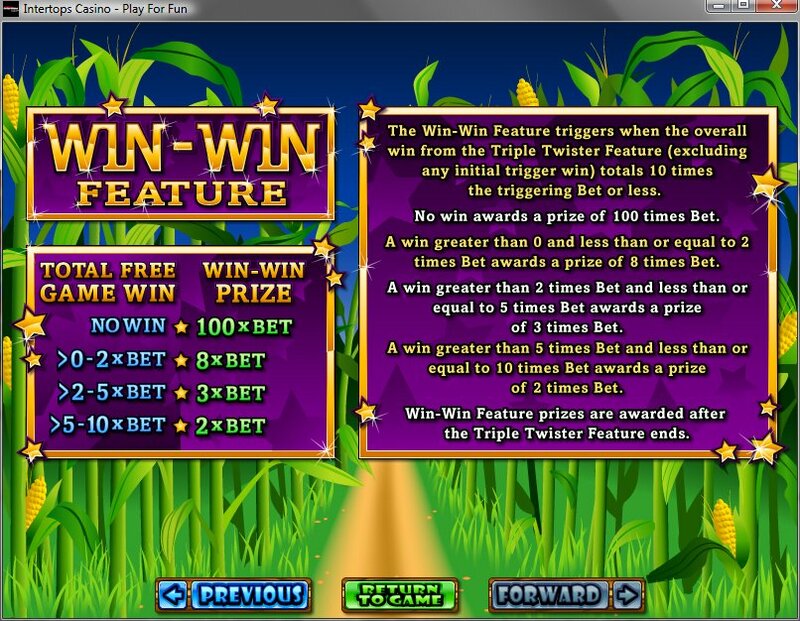 And if that weren't enough a Win-Win feature will come right after you spin up your free games - guaranteeing you won't leave the feature empty-handed! 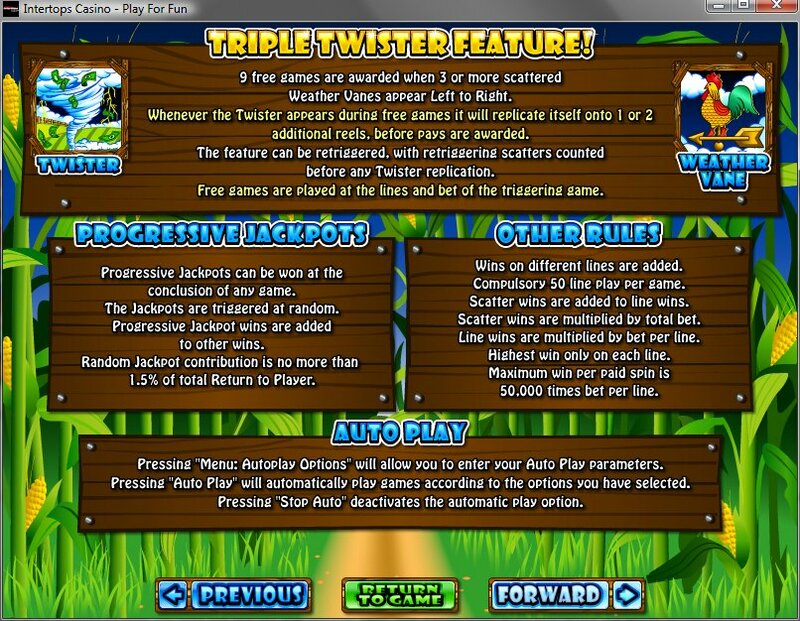 So if you are ready to try your luck, you can't miss this Triple Twister chase - a hunt for fun! 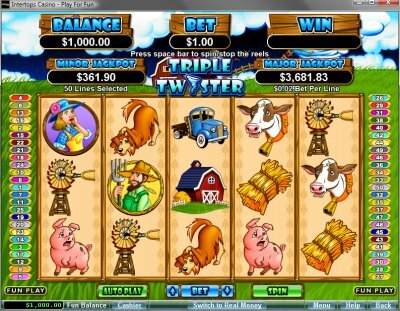 Similar Slots: If you like Triple Twister, you might like these other slot machines from RTG: Field of Green, Jazz Time, Lion's Lair, Sherlock Holmes, Sunken Treasure, T-Rex.